Please note that this review includes spoilers pertaining to the movie The Departed. I don't feel bad for doing this, though, since that film was released 11 years ago. If you haven't seen it, what are you waiting for? Hollywood movies can be boring and predictable. Most "blockbusters" rely on a handful of clichés. Woman meets man, they hit it off, someone discovers a secret about the other, they call it off, miss each other, end up together. There, I just saved you the trouble of ever having to watch a Hugh Grant or Sandra Bullock movie ever again. You're welcome. Action movies are no different: the grizzled, jaded hero goes on one last quest (usually against a bunch of "ethnic" bad guys), meets the token "attractive" female (who is usually 25-30 years younger than him), watches his best friend (usually Kevin Pollak or Paul Giamatti) die, and completes quest by blowing things up real good. Sometimes the "twist" is that the best friend was the real bad guy. Yawn. But every now and then a movie, even within a clichéd genre, does things very differently. In 2006, Martin Scorsese gave us The Departed, a violent cops-and-gangsters movie. Instead of the Italian mobsters of his fantastic Goodfellas, Scorsese focused on Boston and the Irish mob. 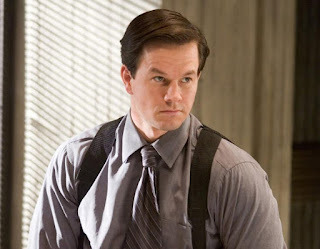 The Departed features a stellar cast (including the criminally underrated and underappreciated Ray Winstone), unexpected twists (Billy Costigan's unceremonious death), great dialogue (Mark Wahlberg's accent and prodigious use of vulgarity is a treat for the ears), and a plot that focuses intensely on identity. While the viewer knows that Sullivan (Matt Damon) is "the rat" who helps mob boss Frank Costello (Jack Nicholson), we don't find out until later that Costello himself was a rat. Wahlberg's performance was wicked awesome. So what does this have to do with Irish Whiskey? I'm glad you asked. I take jabs at Irish whiskey all the time, but I don't really worry about offending anyone, since, as far as I can tell, the Irish don't get offended. Or, at least not by a silly French-Canadian like me. Jocularity aside, I've always found Irish whiskey acceptable if somewhat dull and predictable, like action movies or rom-coms. Irish whiskey is good in a pinch, I thought, but it doesn't merit the same reverence Scotch whisky commands. A good friend changed my mind somewhat with a tasting of Green Spot, and while it's good, the price of it also buys a nice bottle of Old Pulteney 12, Glenfiddich 15, Laphroaig 10 or Highland Park 12. All of those suit me better than the Green Spot. 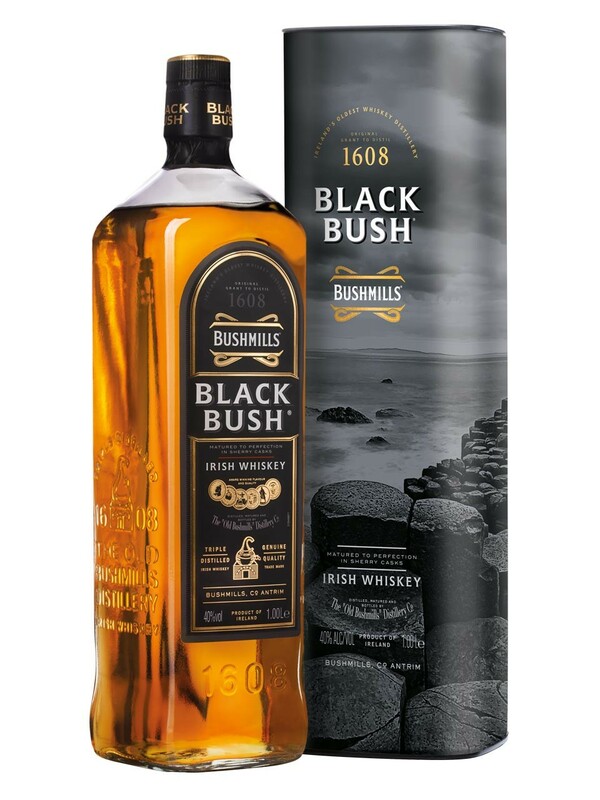 But on a recent family trip, I purchased a bottle of Bushmills Black Bush and found an Irish whiskey that outperforms just about anything I've found at that price point (approx. $37 CAD). Bushmills claims to be the oldest distillery in Ireland; King James I granted landowner Thomas Philips a license to distill in 1608. The distillery has survived fires, tax increases and prohibition. The whiskey was even mentioned by James Joyce in his magnum opus, Ulysses. It's in Episode 18-Penelope, in case you're wondering. The Original Bushmills is a light, floral and completely unoffensive blended whiskey. It's fine, but not particularly noteworthy in this writer's opinion. Black Bush is different. It contains a high proportion of malt whiskey that was aged 8-10 years in Oloroso Sherry casks. If you remember from previous reviews, this imparts a fruity, sweet flavour to the whiskey. 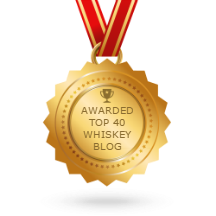 What is "a high proportion" of malt whiskey? I don't know. I've read it's as high as 80% malt whiskey, but I can't seem to confirm this anywhere. Also, remember that Irish whiskey is, in general, triple distilled; Scotch whisky is distilled twice. Thus, Irish whiskey is generally thought to be "smoother" than Scotch. So how does Black Bush taste? Finish: medium length, red fruit developing to milk chocolate, cinnamon with a licorice note lingering. Adding water didn't change much in the character of this whiskey, but adding ice brought out more fruit and toned down a bit of the malt sweetness. I prefer this one neat, or maybe chilled. I would like to try chilling the bottle or even the glass. At 40% ABV, it doesn't need to be diluted any further, but tasting it cold was quite nice (heresy!!!). I was surprised that the finish was as long as it was. Bushmills Original has a fairly short finish and I was surprised that the Oloroso casks had such a prominent influence. 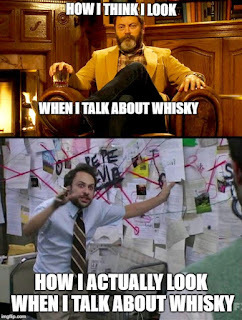 Or maybe it is close to 80% malt whiskey after all. I'm not quite sure where the longer finish comes from, but it's a treat. Just when you think you've got things figured out, the elevator door opens and Leonardo DiCaprio gets shot in the head. Ok, maybe that's just The Departed. But sometimes surprises are far more pleasing. When I bought Bushmills Black Bush during a recent family vacation, I only hoped it would be good enough to keep my brother pacified (he drank some of the whiskey I bought while I drank quite a bit of the beer he bought). However, I believe I discovered a whiskey that is fit to occupy a regular space in my whisk(e)y cabinet. It's not outrageously priced, it's readily available and it's really, really good. Surprises can be good. May you have the hindsight to know where you've been, the foresight to know where you're going and the insight to know when you're going too far.